Air operated industrial vacuum cleaners. ATEX certified for zone 1, 2, 21, 22 air operated industrial vacuum cleaner. Zone 22 ATEX certified industrial vacuum. 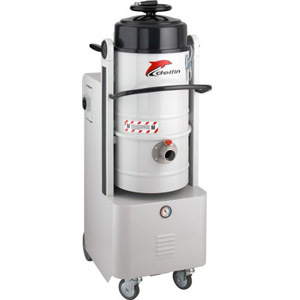 Industrial vacuum cleaner for dust and solid material. 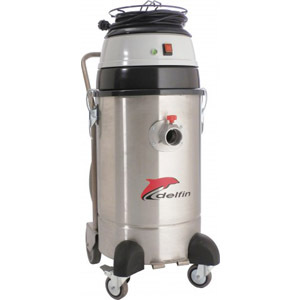 Three phase industrial vacuum cleaner for continuous duty. 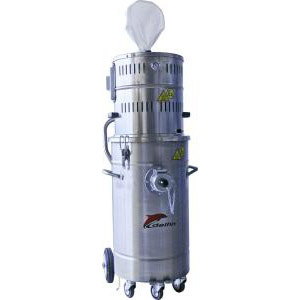 Industrial vacuum for oil & chips recovery. Wet & Dry industrial vacuum cleaner. 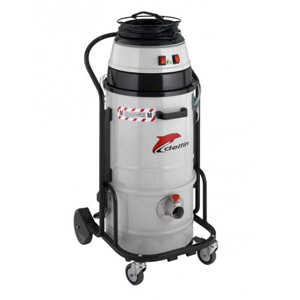 For the most heavy-duty and intense cleaning projects, industrial vacuums are necessary to get the job done properly and Goscor has a wide range of these vacuums that suit the cleaning requirements of a number of different settings. Choose from a wide range of air powered, air powered explosion-proof, ATEX certified explosion proof, industrial single phase or three phase, oil and shavings, or professional wet and dry industrial vacuums. Goscor provides equipment from the top brands in the world to ensure that you’re always getting quality equipment that will take care of all your dirty work with ease and efficiency. 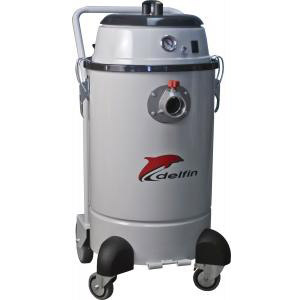 Delfin’s range of air powered and air powered explosion-proof industrial vacuums provide solutions for wet and dry surfaces. The 100% steel construction make them ideal for ships and shipyards, and they come with wet and dry filter kits and accessories. 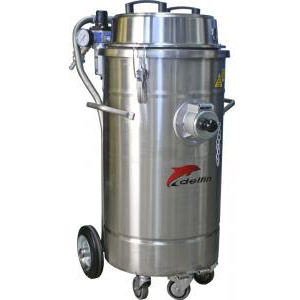 Goscor’s Delfin range of ATEX certified explosion proof industrial vacuums run with a silent, maintenance-free motor that make them ideal for round-the-clock cleaning applications. They’re also built with integrated self-cleaning systems and pressure relief valves. The single and three phase models by Delfin are built with an integrated safety filter and filter cleaning system that provides the highest filtration efficiency in each segment. 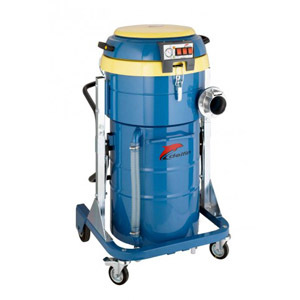 The oil and shavings industrial vacuums are ideal for keeping mechanical and industrial areas clean and slip-proof, and the professional wet and dry vacuums provide a multi-faceted industrial cleaning solution. Since 1984, Goscor has been providing world class industrial cleaning products combined with innovative solutions and professional support. They live up to their vision of maintaining a position as the number one supplier of industrial equipment around the world by delivering the highest quality products and services and always delivering on their commitments. You can trust Goscor to always deliver high quality, genuine parts and equipment that will last a lifetime.